Your social media profile photo is often the first impression people get of you. Quirky selfies may look great on Facebook and Twitter, but when it comes to LinkedIn, most of us would like to look trustworthy and competent. You only get one chance to make a first impression – online or in real life – and people still buy people, especially in professional services. LinkedIn research shows that just having a picture makes your profile 14 times more likely to be viewed by others. A Princeton University study found that people make instantaneous, irrational judgments on likeability and competence of people in photos. The good news? Research also shows that people trust average looking faces the most, so no need for that Fiverr photoshopping gig. 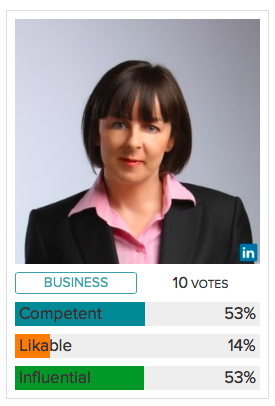 What does your LinkedIn photo convey about you? Online photo rating service PhotoFeeler allows you to submit your photo for feedback in three categories: social (e.g. Facebook), dating (e.g. Match.com) and business (e.g. LinkedIn). You earn credits to receive votes on your photo by rating others under characteristics relevant to each category – if they look fun, attractive, competent and so on. Credits may also be purchased. As I chose my LinkedIn photo based on the super-scientific reason that my husband liked it, I decided to put it to the test. To earn credits, I first rated the profile photos of dozens of strangers, which made me realise how instantaneously judgmental one could be. In my subjective snap judgments, I felt that close up photos have a mugshot feel, people in dark or cluttered backgrounds look incompetent and indirect or side shots look best. Unsurprisingly, smilers rated highly on likeability. Does my face look competent in this? I started with a ‘quick and dirty’ 10 votes. Hmmm. 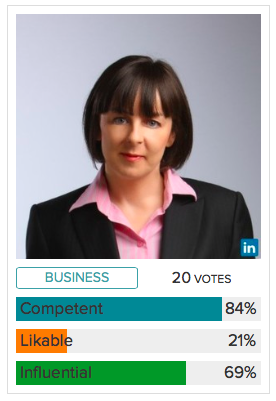 Turns out my husband is biased and most people didn’t find me very likeable. Nor competent or influential for that matter. PhotoFeeler recommends getting at least 20 votes for statistical accuracy, so I re-ran the test to find that to my gratification that the wisdom of the crowd decreed me competent and influential, but still not very personable. Moi? Curiosity piqued, I ran a test on my husband’s LinkedIn photo, selected by me as I think he looks positively presidential in it. While 10 voting strangers found him infinitely more competent and influential than me first time, they didn’t much like him either. When I mentioned this to my husband he told me that colleagues in his new workplace confided that they were surprised how funny he is in person, given how “stern” he looked in his LinkedIn profile. 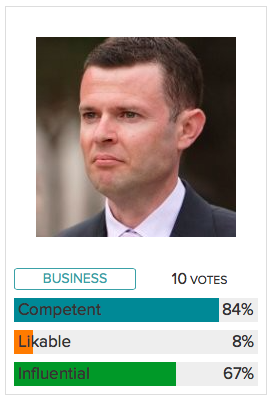 So the wise voters of PhotoFeeler were on the money! If you give PhotoFeeler a try I’d love to hear about it in the comments. Meanwhile, we’re off to get some well lit, side shot, smiling, uncluttered photos taken – and tested!